In our blog you will find the latest updates from our projects, some useful tips about remodeling your house and lots more. 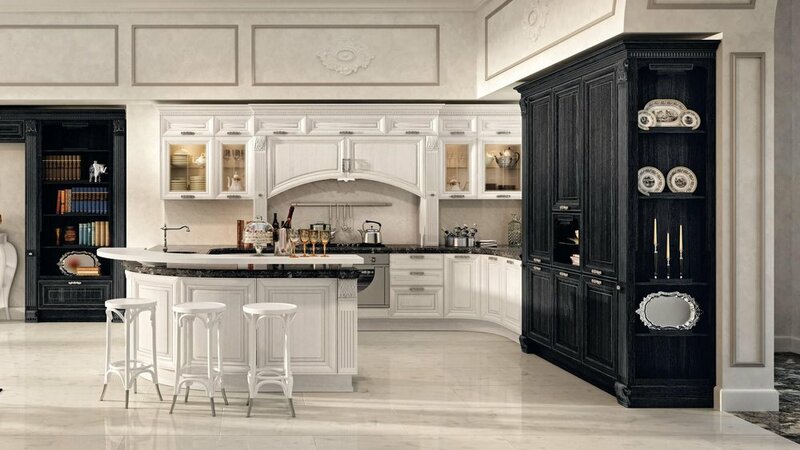 Europe Construction is honor to present our new Italian Kitchen Vendor - Stosa Cucine. The company with over 50 years of experience. This successful company was founded in 1964 in Piancastagnaio, in the Siena area, and today boasts half a century of history. Stosa kitchen originates from authentic values like commitment, honesty, respect and originality— in Italy and in another 40 countries around the world, with a constantly growing market. EuroCucineUSA - is an exclusive representative of Stosa Cucine in California. 1. The very first error many people make is trying to save money by doing the plans themselves. This is a major mistake. A skilled contractor can save you thousands of dollars in design cost, material choices, and special effects that will bring it all together. A mistake in remodeling may double the price of the project. Hire a professional. 2. Cabinets are a good investment and one that is almost always required. However, if the cabinets are simply cosmetically unwanted (but still in good condition) consider painting them bright white. This immediately updates the look of the kitchen. Match your knobs and handles to the faucet to update the look and bring it all together. If the cabinets are beyond painting, consider simply changing the cabinet doors to a more modern look. 3. Go with quality pieces. Choose main feature pieces with beauty, stability and quality in mind. For example, a modern faucet such as those provided by Maestro Bath, brings a unique style to the entire room. Whether your faucet and sink are in the kitchen island or along the wall, the faucet must draw the eye while providing value. 4. Be prepared. When your plans are developed and you know what you will need, gather the items and supplies before you begin the project. This ensures you will not forget anything which will cost you time. Further, if you have items that are hard to find, you will have time to find them or make adjustments. Once the project begins, there should be nothing in the way of completion. 5. Save steps. When remodeling the kitchen, think about what you are doing in the kitchen and where. Hanging pots and pans or large cupboards to store them should be near the stove. The sink should remain near the dishwasher and trash compactor. Islands are beautiful but make them functional with an area for utensils and cutting boards. If the island will serve a dual purpose such as an eating area, allow enough room for comfort. Your kitchen design is for function and aesthetics. 6. Outlets are important. Place multiple electric outlets along the backsplash as well as on the island. You should have the electric power to work wherever you want to. These are easy to include during your remodeling stage. 7. To break up the clunky look of block cabinets, consider adding glass doors or glass shelves for display. You can also add a wine cabinet with a wine bottle stand built in. This is a beautiful addition that adds a bit of old-time charm. With a little planning, you can have the beautiful kitchen of your dreams. Be wise with your purchases and consider the quality of the products you choose. Your kitchen will serve you well for years to come. Europe Construction - Your Complete Kitchen, Bath and Home Remodeling and Design Center in San Diego! What to do before setting off for vacation? Before you start cooking up a kitchen remodel plan, consider these helpful suggestions. WE BUILD UPON YOUR DREAMS! Europe Construction - Your Complete Kitchen and Bath Remodeling & Construction Center in San Diego!